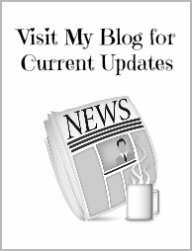 If you aren't subscribed to my Delray Blog RSS feed, (wait, what's an RSS feed? ), then you're likely missing out on all my recent updates! New web pages and blog posts as soon as they are published. You will love what RSS can do for you! The St. Patrick's Day parade starts at 2 PM on Saturday. The festivities continue at Old School Square Park through Saturday 7 PM. 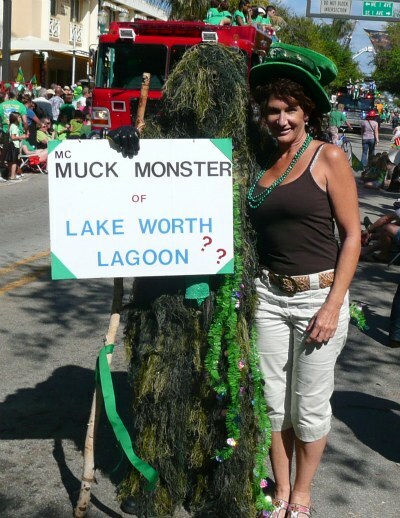 Read about the St. Patty Day events here. Read about the St. Patrick's Day parade here. Read about Maury Power and the history of our St. Patrick's Day parade here. Continue reading "St. Patrick Day Parade"
Today I'll be joining Savor the City Culinary Tours for their Atlantic Avenue food tour! I'll be tasting delicious tidbits on the Avenue, strolling the Avenue, and taking photos to share with YOU! 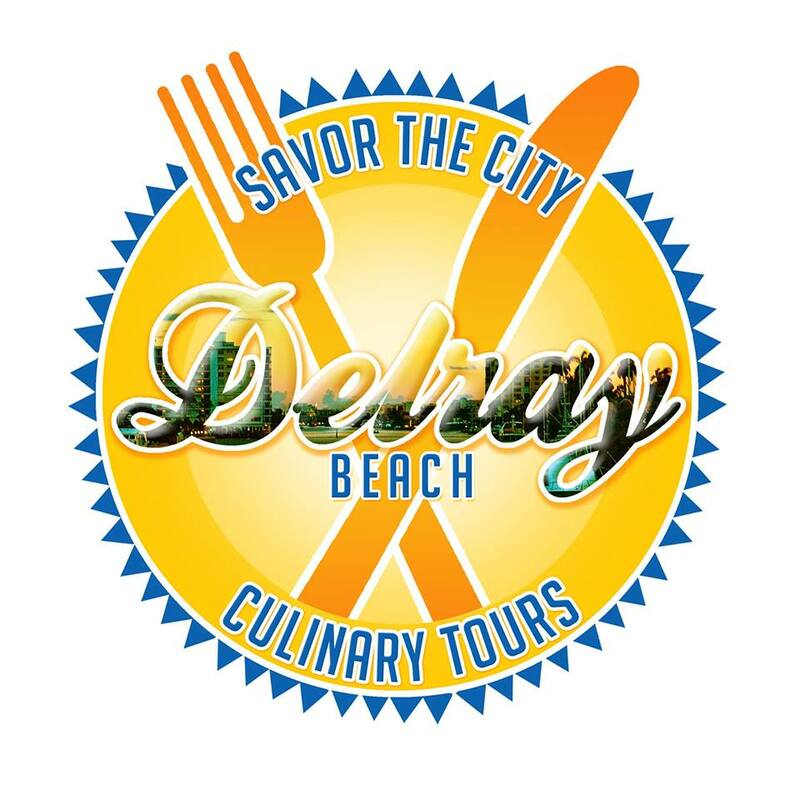 Continue reading "Savor the City Culinary Tour on Atlantic Avenue"
Continue reading "Delray Beach Green Market: Last Day of the Season"
This Weekend in Delray! It's the Delray Affair!!! This event is free to attend! Come stroll The Avenue and take in over 800 vendor booths! Read more about the Delray Affair here! Read more about our famous Atlantic Avenue here! Continue reading "Delray Affair is this Weekend! April 25-27, 2014"
Our Guided Tours Operate Year Round!!! This means, even though many of our events close down at the end of Tourist Season, these guided tours, will still be available as they operate all year round! News Flash!! 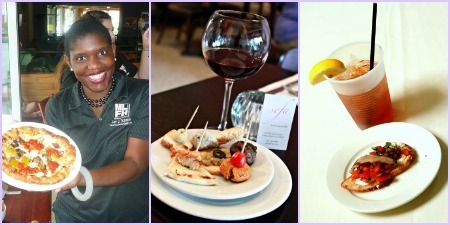 -->> I'll be adding two more culinary tours to my Guided Tours page too! 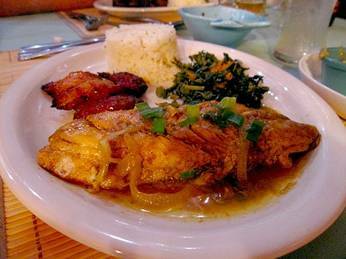 An Atlantic Avenue Culinary Tour and a Pineapple Grove Culinary Tour. They'll both be starting this summer! More information soon! Continue reading "Culinary Tours, Walking Tours, Boat Tours"
On "Marathon Monday" (April 21, 2914), Delray Yacht Cruises will offer sightseeing cruises with 100% of the ticket sales benefiting Martin W. Richard Charitable Foundation. Martin was a victim of last year's Boston Marathon bombing. Cruises depart at 10:30 AM and 1:30 PM. Call 561-243-0686 to make reservations. To see photos from previous cruises click here. Continue reading "Monday Yacht Sightseeing Boat Cruises Benefits Boston Marathon Bomb Victim"
The Pet Parade is this Saturday! If you haven't seen these little darlings all dolled-up in their Easter Bonnets, you must come watch the entertainment as they parade their way from the Delray Green Market to Cornell Museum. This is FREE to attend! Bring the family! It's only $3 to register and all benefits go to our local dog rescue group: Dezzy's Second Chance Rescue. You can still register! 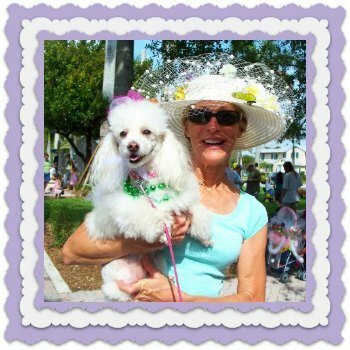 Continue reading "Easter Bonnet Pet Parade"
Thank you Coastal Magazine for showcasing our beautiful beach as your "View of the Day" on April 3, 2014! 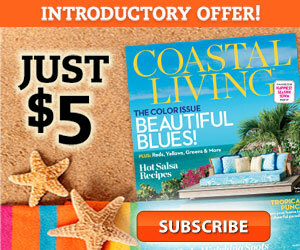 Coastal Living Subscription for only $5! That's right! Get 10 issues for just $5! Here's some freebie Florida and Delray Beach magazines and links! Continue reading "Coastal Living Magazine's Daily Photo: Delray Beach, Florida"
Savor the Avenue is Tonight! It's known as the longest dining table in Florida! 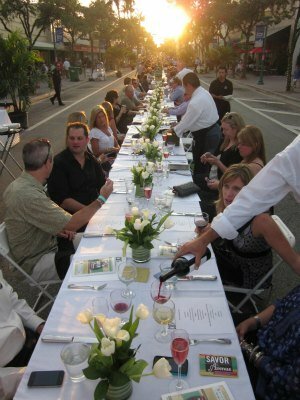 Savor the Avenue spreads itself out on our beautiful Atlantic Avenue for open-air dining at the longest dining table in Florida!!! Continue reading "Savor the Avenue is Tonight!" Let the St. Patrick's Day party start! Friday 5 PM is the beginning of the celebrations in downtown Delray! Continue reading "St. Patrick Day Celebrations Begin Friday 5 PM"
If you're a Pinterest fan, please check out my Pinterest page here! I just recently enjoyed the Delray Green Market (think Farmer's Market or Saturday Market), and I posted a lot of new photos on Pinterest page. P.S. The weather was sunny and 85 degrees! I had to take off the long sleeves and go with the tank top! Serious! In January! Love my Florida weather! 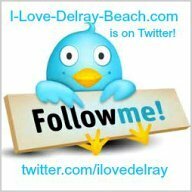 Continue reading "I-Love-Delray-Beach.com is on Pinterest!" in These New Beach Chairs? 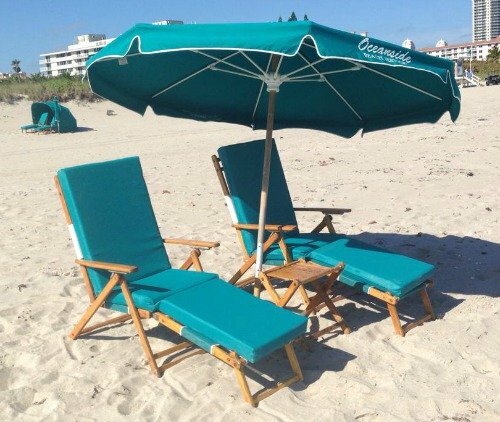 These new beach chairs are now sprinkling our sparkling beaches! Read more about South Florida January Weather here. February weather is just as good! 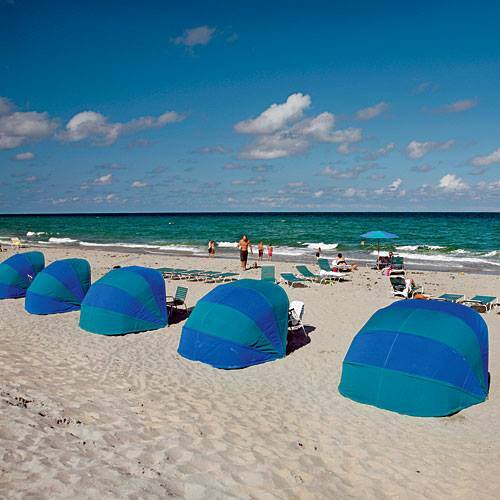 Is YOUR Delray Beach vacation planned? 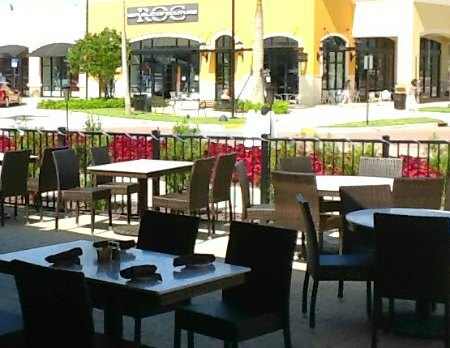 Continue reading "New Beach Chairs at the Beach"
We Have a Delicious Assortment of Restaurants in Downtown Delray Beach! Downtown Delray Beach restaurants offer you everything from sophisticated fine dining with an ocean view, or casual dining with a water front view to quaint bistro restaurants sprinkled all throughout downtown Delray on Atlantic Avenue, Pineapple Grove and nearby. 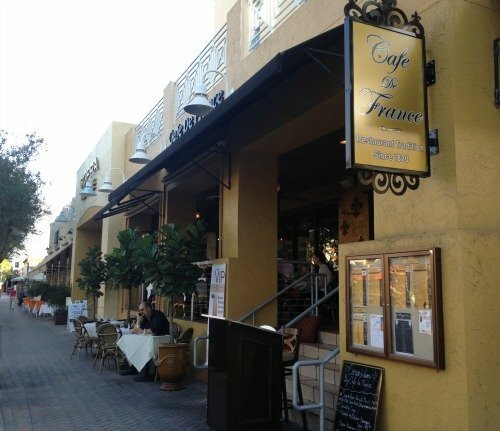 Continue reading "Downtown Delray Beach Restaurants: Atlantic Avenue Restaurants"
Who doesn't want a piece of this?!!! Florida weather in January! An average high temperature of 76' Fahrenheit and 24' Celsius. 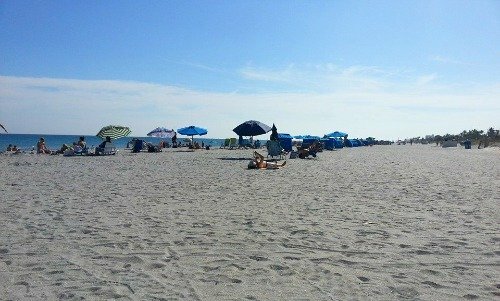 Continue reading "Florida Beaches in January - Water Temp 79 Degrees"
Saturday is the Green Market! Every Saturday 10 - 2 (during season mid-Oct thru Mother's Day weekend), located at Old School Square Park, just east of Delray Beach Center for the Arts. 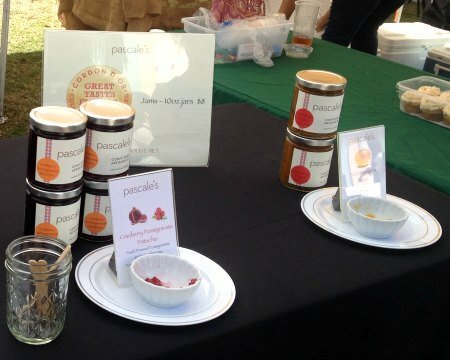 Continue reading "Downtown Delray Green Market - Farmers Market Every Saturday"
Celebrate New Year's Eve on The Avenue! The First Night Fun on The Avenue (Atlantic Avenue) starts at 4 PM on December 31st! Come participate in the games, the fun, the events, and the fireworks! The 100-Foot Christmas Tree is open through Jan 1st. Come tour the Christmas Tree! If you haven't yet, you still can! The Holiday Carousel is up through Jan 1st as well as the ice skating rink too! And, there's still time to join the Delray Yacht Cruises for a Christmas Lights Tour through December 31st. Continue reading "New Year's Eve on Atlantic Avenue in Delray"
First Night Celebrations on December 31st! 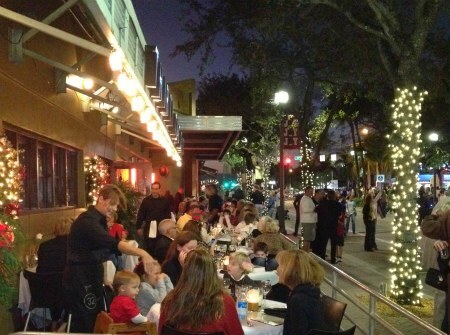 We still have First Night to celebrate on New Year's Eve in downtown Delray. This is a family-friendly event, so bring your parents! Continue reading "First Night New Year's Eve in Delray Beach, FL"
Christmas Fun all Week in Delray Beach, FL! We Still Have a Week of Christmas Fun in Delray Beach! Christmas might be over, but we still have another week of Christmas Fun in downtown Delray Beach! The Christmas tree is open through Jan 1st! And, so are all the festivities at the tree! 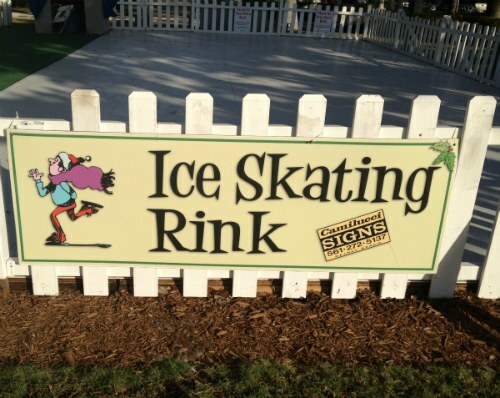 You can ride the holiday carousel, skate at the ice skating rink, and tour the magical Christmas tree! 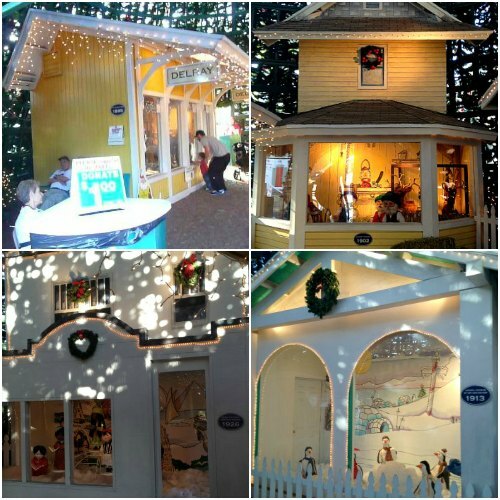 Continue reading "Christmas Fun all Week in Delray Beach, FL!" The Christmas Tree opens at 1 PM on Christmas Day! 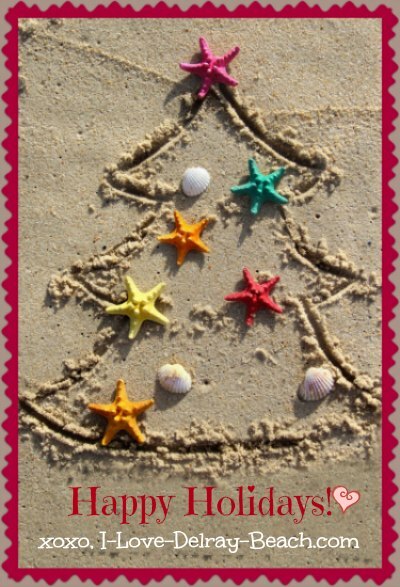 I-Love-Delray-Beach.com wishes you a Merry Christmas and Happy Holidays! The 100-Foot Christmas Tree is open today, Christmas Day, December 25th, at 1 PM. 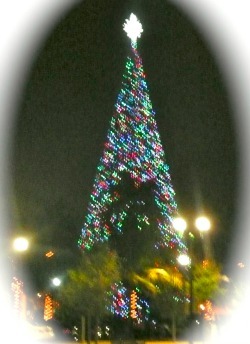 Continue reading "Christmas Day in Downtown Delray"
Have You Toured the Magical Christmas Tree? Be sure to get your "I toured the famous 100-foot Christmas tree sticker to proudly wear! Continue reading "100 Foot Christmas Tree in Delray Beach, Florida"
It's the Weekend for the Parades!!! 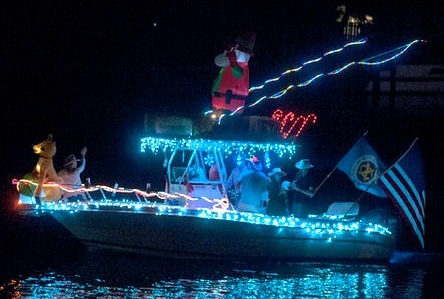 The Boynton Beach - Delray Beach Holiday Boat Parade is Friday night! Saturday morning is Breakfast with Santa at the Marriott. Saturday night is the Holiday Parade on Atlantic Avenue. Delray Yachts offers Christmas Lights Cruise through the month of December. It's a great way to see Christmas lights from a different view! It's a weekend filled with fun here in Delray Beach, Florida! Continue reading "Holiday Boat Parade and Holiday Parade on Atlantic Avenue"
Tonight is the Lighting of our famous 100-Foot Christmas Tree!!! P.S. Here's the Special Edition Christmas Tree Newsletter!!! Continue reading "Christmas in Delray Beach, Florida"
Christmas Tree Lighting is Thursday! We Celebrate Christmas All Month Long in Delray Beach, Florida! The Carousel is now open! 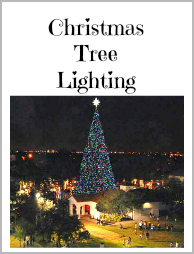 Thursday, December 5th is our spectacular tree lighting ceremony! And, once again, since it's the holidays, and so many events are going on, I'm sharing my newsletter with everyone! Here's the Special Edition Christmas Tree Newsletter!!! Continue reading "Christmas Tree Lighting is Thursday!" This Weekend: Artists in the Park & Thanskgiving Art Festival - Both are Free Events! Artists in the Park will be holding their art show at Veteran's Park on Saturday this weekend. Click here for details. You can read more about Artists in the Park here. Veteran's Park is a beautiful venue as it sits directly on the scenic Intracoastal. The 14th Annual Thanksgiving Art Festival is on Saturday and Sunday. It's being held on 4th Avenue and Atlantic Avenue. You can read about the Thanksgiving Art Festival here. Continue reading "This Weekend: Artists in the Park & Thanskgiving Art Festival - Both are Free Events!" The Menorah Lighting is Wednesday evening. 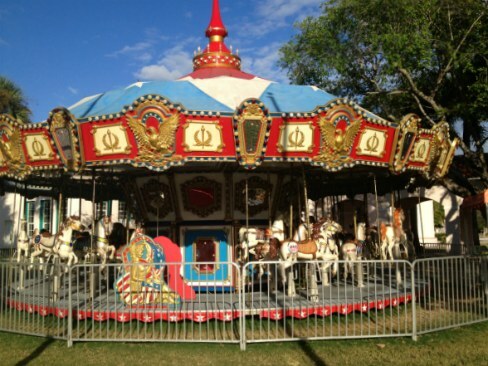 The Holiday Carousel opens on Friday and this weekend is the Thanksgiving Art Fair! So, you see, plenty for you to choose from! And, since it's the holidays, I'm sharing my Hanukkah and Thanksgiving Edition newsletter with you! You'll find all the event information I mentioned above in my newsletter. My newsletter is usually exclusively sent to my subscriber list but here's your holiday copy so you'll know what's going on!!! If you'd like to receive my newsletter on a regular basis, you can subscribe (for free! ), right here. Continue reading "Thanksgiving, Hanukkah, Menorah Lighting, Holiday Carousel, Thanksgiving Art Fair"
The beginning of Hanukkah begins November 27, 2013, with the first candle lighting on the Menorah! The public is invited to enjoy the Menorah Lighting Ceremony in downtown Delray Beach! For all holiday events, click here. The Holiday Carousel opens on November 29th. Read all about it right here! 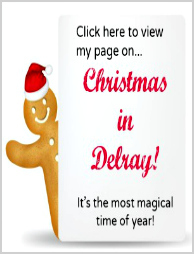 Continue reading "Menorah Lighting November 27, 2013"
Delray has a lot of restaurants! Downtown restaurants, restaurants on the westside and now we're getting a nice collection of restaurants out at the new Marketplace too! There's one special review I'd like to share with you today because this restaurant in particular is getting a lot of rave reviews! It's at the new Delray Marketplace out West Atlantic Avenue, it's called Terra Fiama. You can read all about Terra Fiama right here. And here's a photo of their outdoor dining! And if you're a New York bagel lover, I suggest you check out the review on Brooklyn Bagels! The other day, I heard the line was nearly out the door!!! Continue reading "Review on Terra Fiama Restaurant"
Saturday & Sunday, this weekend in Delray, it's the Seafood and Wine Festival. This takes place beachside at our award-winning beach and our award-winning Atlantic Avenue. Enjoy over 40 different varietals of wine from around the world. Choose from over 60 seafood menu items. And learn what goes with what at their wine and food pairing seminar. All of November events listed here. 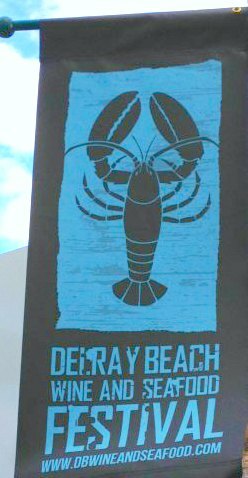 Continue reading "This Weekend in Delray Beach - It's the Seafood and Wine Festival"
Since I'm asked this so often, I decided it was a topic worthy of a page all in and of its own right! So, here's your answers on Tourist Season in Florida! P.S. If I fail to answer your specific question, please send me an email and I will add it! You can contact me at the bottom of every page, click on the email link to contact me. Continue reading "When is Tourist Season in Florida"
So many new restaurants (and other things too!) coming to Delray soon! Saltwater Brewery will be opening soon. It's on West Atlantic Avenue, just west of I-95, right next to the railroad tracks. In fact, this signage is facing the railroad tracks, and I was nearly standing in the railroad tracks to get this photo. LOL It's THAT close! 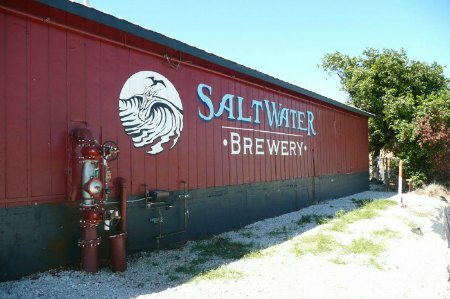 You can read an article on SaltWater Brewery here. See more new things on my Facebook Page! Continue reading "Salt Water Brewery Coming Soon! West Atlantic Avenue"
Saturday is opening day for one of Delray's most loved signature events!!! This is the 2nd year at its new location on the grounds of Old School Square. Parking garage right next door. The fun awaits you...Go explore! And, let's not forget about all the events for Halloween that are going on around town this weekend! Ghost Tours! Pumpkin Patches! Zombie Crawls! Click any of these links below for more ghostly fun ideas! See more Halloween Fun here! See all of October events here. Continue reading "Saturday is Opening Day of Delray Green Market"
Continue reading "Bamboo Fire Cafe in Delray Beach"
Delray Yacht Cruises has a coupon for their daily sight-seeing cruises tour valid through the end of October. Visit my web page on self-guided tours, free tours, and guided tours here. Visit my web page on this fun and informative historical beach walk tour that is self-guided at your own leisurely pace and it's pet-friendly too! Have fun and enjoy your weekend! Continue reading "Delray Yacht Cruises $10 Coupon Through October"
Delray House of the UN-dead! Continue reading "Zombie Crawls - Ghost Tours - Haunted House Tickets Half Off Groupons"
We have two signature events this month! On Oct 17th, it's On The Ave in Pineapple Grove Arts District! 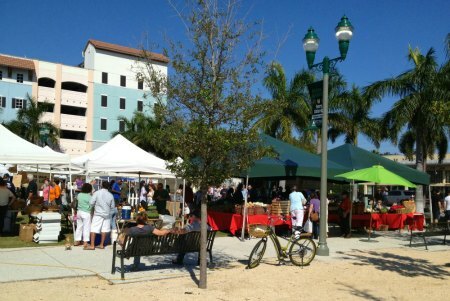 Oct 19th, kicks off the opening day for the, Delray Green Market! And let's not forget October also means we transition into Fall and this means...Halloween is just around corner! We have two nearby pumpkin patches with one of them offering hay rides, corn mazes, a petting zoo, photos in the pumpkin patch, and lots more! You can almost make it an all-day family affair at the pumpkin patches! And there's Halloween Fun with Trick-or-Treating downtown, and a Halloween Parade ending with a Family Fun Fest at Veteran's Park! Click here to see all of the events for the month of October click here. Continue reading "October Events - Halloween Fun - Parade - Trick-or-Treating Downtown Delray"
This Weekend in Delray - Things To Do! This weekend in Delray offers you a few things to do! Music at the outdoor amphitheater at the new Marketplace on West Atlantic. This is a free event! You can still get a $10 intracoastal sight-seeing cruise with Delray Yacht Cruises through Sunday. Culinary Tour is on Saturday! And this Friday (today) is the last night for Safari Zoo Nights at Palm Beach Zoo! Here's October's Calendar of Events to start your planning for next month. Continue reading "This Weekend in Delray - Things To Do!" Get Your Delray On! At the Next On The Ave Event in Pineapple Grove! I'm working on my next newsletter! For my eNewsletter subscribers only...It will have a freebie download for a sneak-peek of one of my chapters in my soon-to-be-released Christmas in Delray eBook! Until then, make sure you know what's going on in Delray for the month of October by checking my October Calendar of Events page. And be sure you don't miss the On The Ave event taking over the Pineapple Grove Arts District on Oct 17th! 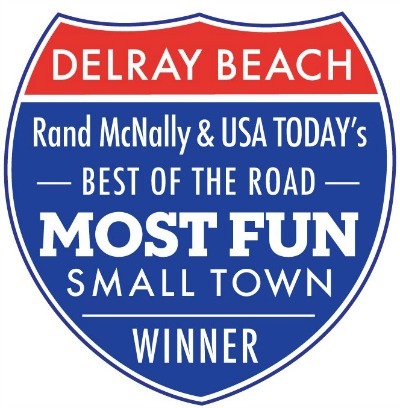 Continue reading "Get Your Delray On! At the Next On The Ave Event in Pineapple Grove!" September is the month for tours and the last of the off-season prices on attractions! So if you still want a deal, grab it while you can! 1) Delray Yacht Cruises has a coupon for their daily sight-seeing tour valid through the end of this month. 2) Lion Country Safari has two coupons: A coupon for a carload and another offering $8 discount per person. View both coupons here. September is designated Guided Tours month! Have you taken a tour yet? Taste History Culinary Tours is a great way explore new eateries while learning Palm Beach County history at the same time! Continue reading "Lion Country Safari Coupon - Delray Yacht Cruise Coupon"
Save money! Palm Beach County coupons, Delray Beach coupons, specials, discounts and deals for attractions, dining, and more! Continue reading "Delray Beach Coupons, Specials, Discounts, Deals"
Hop aboard the historical trolley tour and enjoy going back in time, while you travel through the five historic districts in Delray Beach, FL. Learn about the diverse culture and history in this charming beach town. Taste History Culinary Tours of Historic Palm Beach County, Florida offers a unique cultural and culinary experience by combining food tastings with the rich Palm Beach County history. Continue reading "Culinary Tours, History Tours, Walking Tours"
If you've ever wanted to visit Lion Country Safari at a discount, here's your chance! Save 45% off regular admission when you purchase this Groupon for only $19! Over 1000 Groupons sold already! Limited quantity available. Purchase now if you want this Groupon deal! See more attraction coupons here! 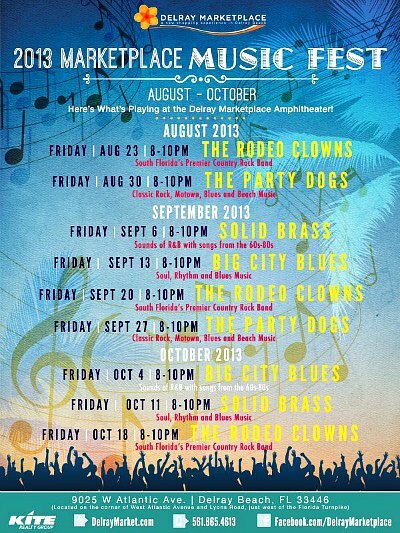 You can view a complete list of September Calendar of Events here. Continue reading "Attraction Coupons - Lion Country Safari Coupon"
More Delray Beach restaurant coupons here. Enjoy savory, organic, fresh farm-to-fork foods at DIG organic restaurant in Delray Beach, FL. P.S. DIG is an acronym for Doing It Green! Coupons available for limited time. Purhcase your DIG coupon now and enjoy it tonight! Continue reading "Save 50% at DIG Organic Restaurant in Delray Beach"
If you've been wanting to enjoy Morikami's Sushi and Stroll Summer Walk, September 6th is the last one for the season. Right now you can get 25% off membership! Enjoy the Sushi & Stroll free with membership. Have you seen how beautiful Morikami is? If not, here's photos and video for you! View all of September's Calendar of Events here. Morikami's 25% discounted membership info here. Continue reading "Morikami Sushi & Stroll - Save 25% on Morikami Membership"
Learn more about sharks at Sandoway House through the end of August. Learn more about all the fun activities available at the Sandoway House here. Continue reading "Shark Week is Celebrated Through the end of August at the Sandoway House"
Weekend in Delray Beach - Things to do! If you're in Delray Beach this weekend looking for things to do, I have two great tips for you! 1) How about the intracoastal cruises on one of the lovely Delray Yachts?! View photos from past cruises here. Grab your $10 coupons here for their sightseeing cruise! The yacht cruises are one of the TOP tourist attractions in Delray! Reservations highly recommended. They've been completely selling out! 2) The Sandoway House is still celebrating SHARK WEEK! You can read all about shark week at the Sandoway House here. Visit my Calendar of Events pages where I have events (and other stuff...) listed by each month -- making it easy to plan your Delray vacation! 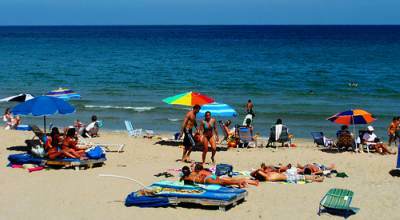 Continue reading "Weekend in Delray Beach - Things to do!" P.S. If you didn't purchase your 32 East coupon by midnight last night, than you missed out on the 70% savings! But, if you can still save 50% if you hurry! You only have two days to purchase your 32 East coupon on Living Social! Spend $25 and get $50 worth of food and drink at 32 East Restaurant! Must purchase by Aug 14th. Continue reading "Two Days Left to Save 50% Off on Atlantic Ave Dining Restaurant - 32 East Coupon"
Fine Dining Coupon for only $15 at 32 East - Act Now! Get an Extra $10 off purchase of $25 or more! Spend $15 and get $50 Coupon! One of our very popular restaurants, 32 East, has a coupon on Living Social! OFFER ENDS: This offer ends Aug 14th. This means that you ONLY pay $15 for $50 worth of food and drink and 32 East! NOTE! --> This extra $10 discount can be used on any offer of $50 or more! ~ Yum! Enjoy! See more Restaurant Coupons here! Continue reading "Fine Dining Coupon for only $15 at 32 East - Act Now!" The August edition of my Delray Beach Vibrations Newsletter is now available! Hurry and grab a copy while it lasts! If you aren't signed up for my monthly eNewsletter, and you'd like to be, (and you really should be!) click here to subscribe now. It's always free. And, it's always for you! I usually try to have free information and/or coupons in it for you and this time...I have both! 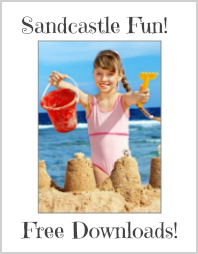 There's a $10-off coupon for the Beach Store to buy sandcastle kits with a DVD included! Or, you can use the coupon for anything else you want. And there's a coupon to hop aboard the Delray Yachts! You'll find all the details right here in my eNewsletter. Continue reading "August Newsletter is Out! Events, Coupons & Summer Fun Ideas"